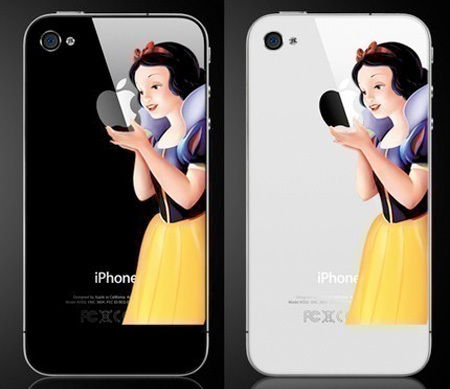 Unique and clever vinyl stickers that will spice up the look of your iPhone. 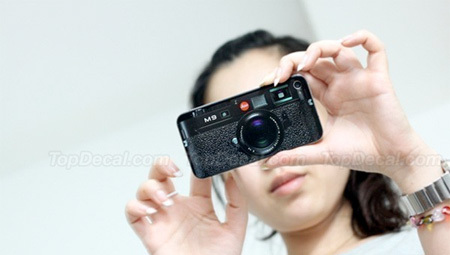 Vinyl decal will make your iPhone 4 look like a Leica camera. 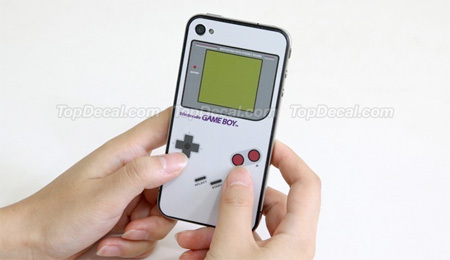 This awesome vinyl sticker will put Iron Man on your iPhone 4.
iPhone 4 decal inspired by Game Boy game system from Nintendo. 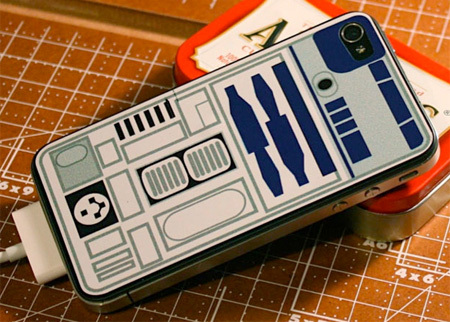 Cool sticker designed for the fans of R2-D2 droid from Star Wars. Booklet of stickers with ego-stroking text messages printed on them. 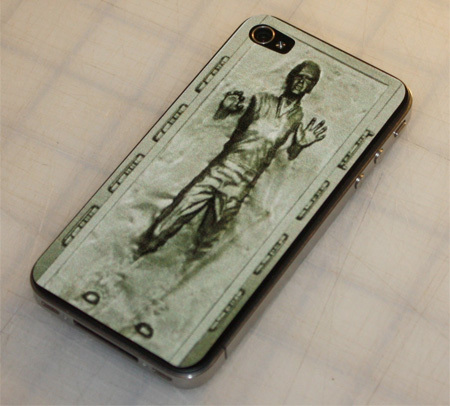 Creative vinyl sticker inspired by Han Solo frozen in carbonate. Cool vinyl sticker inspired by the rainbow “bitten” Apple logo. iPhone 4 stickers make it look like famous people are calling you. 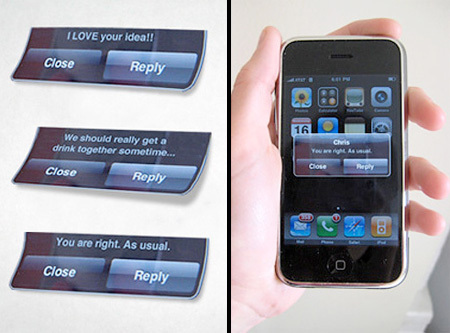 Creative sticker will help you solve iPhone 4’s antenna problems. 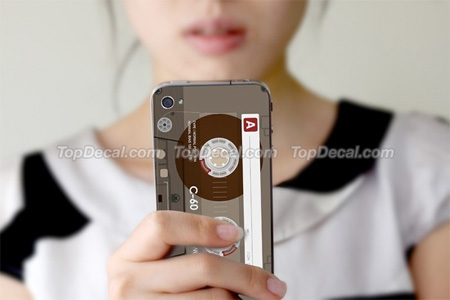 Creative vinyl skin will make your iPhone look like a cassette tape. 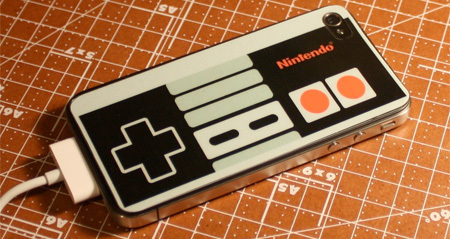 Decorate your iPhone with a sticker inspired by an NES controller. 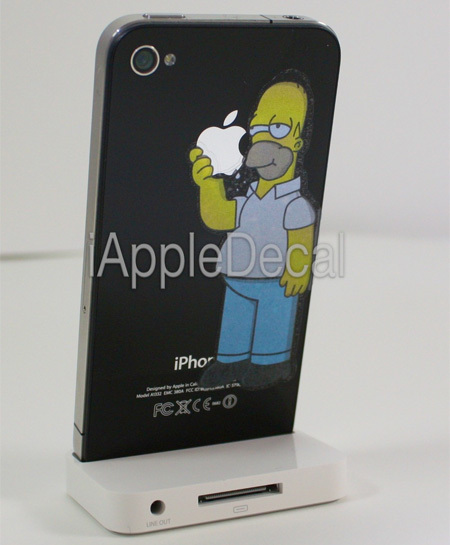 iPhone decal made of high quality, self-adhesive transparent vinyl. 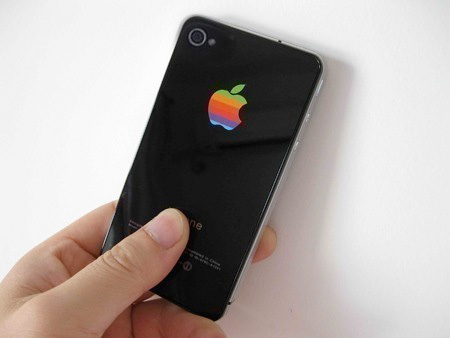 Colorful Apple iPhone decal coated with waterproof protective film. the End Call one is hilarious and most creative! HAHAHA they spelled Clinton’s name wrong. My favorites are the end call, iron man, and snow white. i dont get the end call one, is it some sort of inside joke amongst iphone users? the iphone 4 has some problems with the connection, if you put your finger on the place of the sticker, you end the call. Well if held incorrectly, ie with your hand over the spot indicated with the end call sticker, then for some reason your signal strength goes wildly lower. The sticker it meant to stop you from holding the phone there and thus preventing the loss of signal problem. @ Brit: Cliton was no typo, it was spelled with Monica intention……how young are you? ..and no response to the cassette tape sticker. 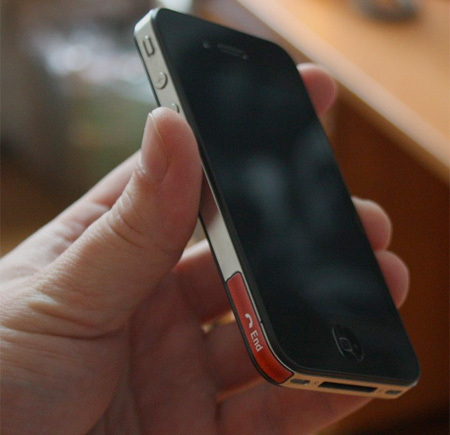 Current iPhone4 fans have no idea…they flit from gadget to gadgets without a clue. I LOVE, LOVE, LOVE the cassette one! @Bob: Give me a minute! Us old timers take a while to get where we are going! I’d like it if a guy named CLITON called me. 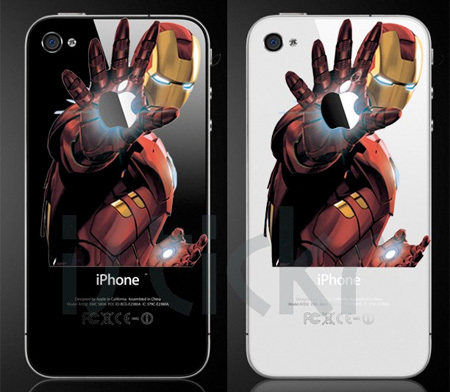 I can’t decide between the Iron Man and Snow White stickers. Very nice. Some of these are meaningless and not that creative to me including Iron Man sticker. Notice the spelling error on the “Cli(n)ton” sticker. Otherwise the Leica M9 sticker is super cool. but could someone tell me the diemensions for an iphone 4..
which iphone is that? what the girl is holding with the steve jobs sticker? bcoz it has front facing cam with flash! !